In last month’s budget & financial round up I highlighted the paragraph hidden in the small print where the chancellor said he would be examining the rules around council tax and business rate exemption for holiday homes. At the time I wondered if for the second time in a few years our business was seeing a prime example of The Streisand effect and having spoken to other people in the industry I’m sure it is. For those of you not familiar with the concept The Streisand effect is when an attempt to suppress or ban something ends up having the opposite effect by drawing attention to it. It was coined in 2003 when a small website was set up showing aerial photographs of the California coast in order to document coastal erosion. 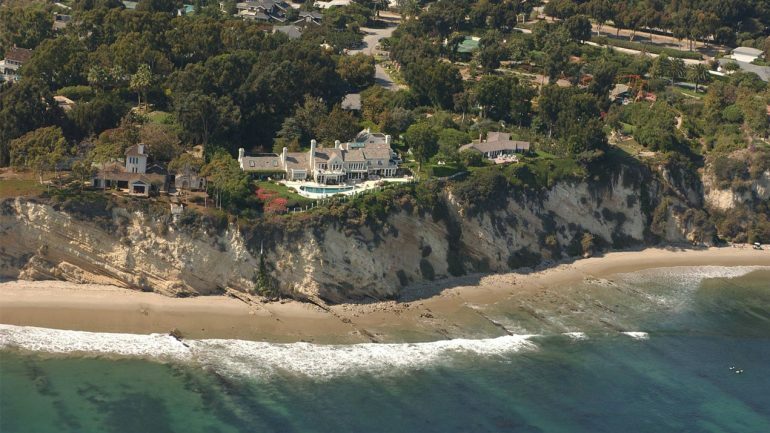 Barbara Streisand’s lawyers filed a lawsuit with the intention of getting them to remove a picture of her beachfront mansion. Before the legal action the image had only been downloaded 8 times including twice by the Streisand legal team, within months’ millions of people had seen it. In 2014 Sandbanks was involved in a classic example of the phenomenon when our MP raised the issue of party houses in Sandbanks disturbing residents with stag and hen parties playing loud music into the night and generally behaving badly. To illustrate the problem Mr Syms relayed some lurid tales of butlers in the buff, blow up dolls and worse which of course was seized upon with glee by the tabloid press. ‘Millionaires enclave invaded by drunks, naked butlers and prostitutes’ screamed the Daily Mail and many other similar headlines followed. Never mind that none of the houses in question were actually on Sandbanks or that we were talking about very isolated incidents, it was a great story. Stag and Hen parties are not our business but I know someone who does promote them in the Poole area and page views on their site went from an average of less than 50 a day to nearly 5,000 a day in the following week. There are no formal records but I think we can safely assume that there were many more incidents in the following year! This is highlighting that the great benefit of paying no council tax or business rates can actually be achieved without really doing any holiday letting. 5 years ago, I was finding that most owners joining us were not aware that they didn’t have to pay council tax but recently the message seems to have got through and most people have claimed their entitlement. This clearly leaves the door wide open to abuse, you could make it available for 140 days at £2,000 a night, get no customers but still qualify for business rates and if it’s your only holiday property claim 100% relief. Now like beggars driving BMWs or benefit claimants living in mansions there are bound to be a few people taking advantage of the rules but I’m sure they are very rare. The Chancellor’s intervention, however, has highlighted the opportunity and with the government a little bit preoccupied at the moment I’m willing to bet that many more people will take advantage.